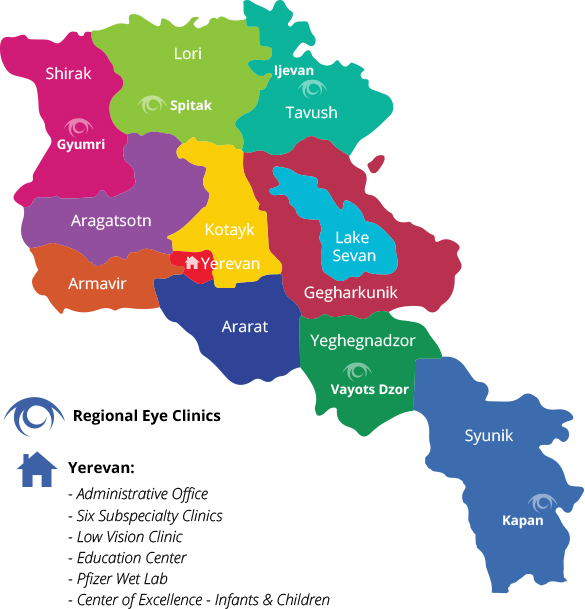 Armenian EyeCare Project » Meet Our New Board Members! Dr. Khodam Rostomian, Mr. Michael Sahakian, and Mr. Alexis Gevorgian joined our Board of Directors late last year and each will bring their professional expertise as well as their personal dedication to fulfill the AECP’s lifelong mission of eliminating preventable blindness in Armenia and providing quality eye care for every Armenian in need. “The Armenian EyeCare Project is very near and dear to my heart,” Dr. Rostomian, an ophthalmologist at Kaiser Permanente in Lancaster, says. Dr. Rostomian’s history with the AECP goes back to 1995, when the doctor joined our Medical Mission to Armenia, then as a junior medical resident. Appropriately, it is Dr. Rostomian’s early educational experience with the AECP that inspires him to further develop that section of our organization, be it through encouraging students abroad to visit Armenia through our Observership program or by providing quality medical training to doctors in Armenia so they can care for patients at the same level as physicians in the U.S.
Dr. Rostomian, who also sits on the Board of Directors at Southern California Permanente Medical Group, intends to share his 20 years of experience working with large patient populations at Kaiser Permanente with the AECP so we can build our capacity capability to treat even more patients in Armenia. 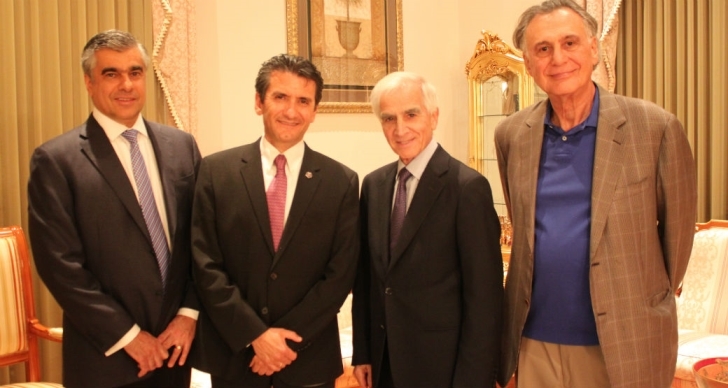 Sahakian also joins the Board of Directors at the Armenian EyeCare Project and says his respect for our organization grows with each visit to Armenia. Rostomian, Sahakian, and Gevorgian join our Board of Directors as we begin our 25th Anniversary. The AECP will celebrate 25 years of service to Armenia by hosting several activities throughout the year — including a special Mission Trip to Armenia in July that’s open to all our friends and supporters and a 25th Anniversary Gala in November, which will be our biggest Gala yet! Since 1992, the Armenian EyeCare Project has developed several sight-saving programs in Armenia, including eight subspecialty clinics in Yerevan; a Mobile Eye Hospital that travels throughout Armenia to treat patients unable to travel to the capital; a Center of Excellence for the Prevention of Childhood Blindness specializing in infants and children; and — our biggest project yet — five Regional Eye Clinics in five different provinces in Armenia so those living far from the capital can still receive quality eye care. To date, the AECP has treated over 600,000 patients in Armenia and performed more than 20,000 surgeries. Rostomian, Sahakian, and Gevorgian will join our current board members: Mr. David Keligian, Mrs. Meredith Khachigian, Mr. Jack McHale, Mr. Archie Cholakian, Dr. Barry Kuppermann, Dr. Richard Hill, and AECP Founder and President Dr. Roger Ohanesian. Welcome to the team, Dr. Rostomian, Mr. Sahakian, and Mr. Gevorgian!